We’re delighted to welcome today’s news from the UK Commission for Employment and Skills (UKCES) which spells out the clear fact that care is a leading career of the future. Trevor Brocklebank, Home Instead’s CEO, said: “The UKCES’ research underlines what we already believe – care is not just a job, it’s a career for the future. “At Home Instead, CAREGivers are the driving force behind our passion to deliver quality care and companionship to older people in their homes. So much so – at Home Instead we have launched a campaign to attract 2,000 new CAREGivers to help us deliver the quality standard of care that we believe in. Like the UKCES - we want to encourage careers in care too, we respect and value our CAREGivers who can then go on to receive more specialist training packages, for example, in looking after people with Alzheimer’s. Our 24-year-old CAREGiver Emma Needham, a mum-of-one from Oldham, is a shining example of a career in care - in action. Emma joined the Home Instead Oldham and Saddleworth team 18 months ago as a CAREGiver, undergoing our bespoke City and Guilds in dementia training. 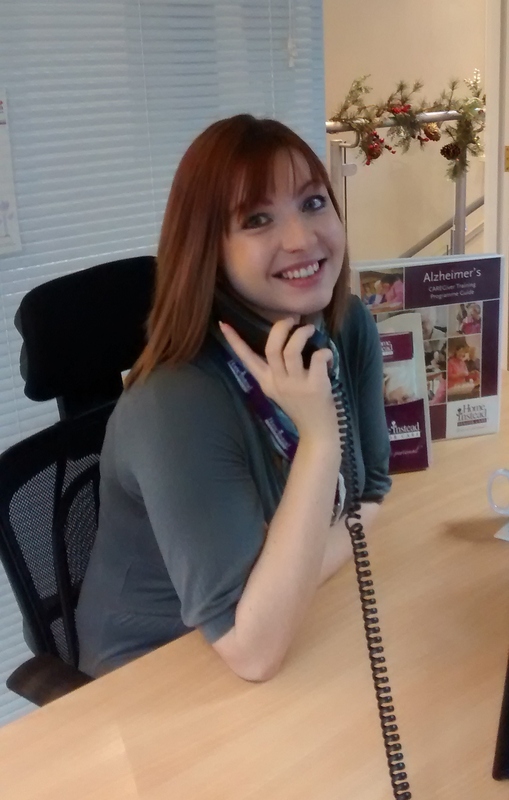 Emma has since progressed up the care career ladder with Home Instead. She started in her role giving care to clients, then went on to work as a weekend supervisor in the office. She now helps in our drive to find more people to consider care as a valid and valued career path. Said Emma: “A career in care was the right path for my personal employment journey, it’s great to see it acknowledged as a career of the future in the UKCES report too.